Finding yourself with a thirst for a tantalizingly cold drink in the hot summer months? Lusting after the ice cool relief of that perfect smoothie, cocktail, or slushie? Then it’s time to invest in your very own shaved ice machine. Because you can’t beat throwing the summer worries away with a glass of smooth, crisp, and cool ice. We’ve gone up and down the market to find the best models to recommend to you. While we do nitpick on the finer parts, it’s important remember that each model has made is on this list for a reason. They’re all some of the best models on the market, and we recommend each one. 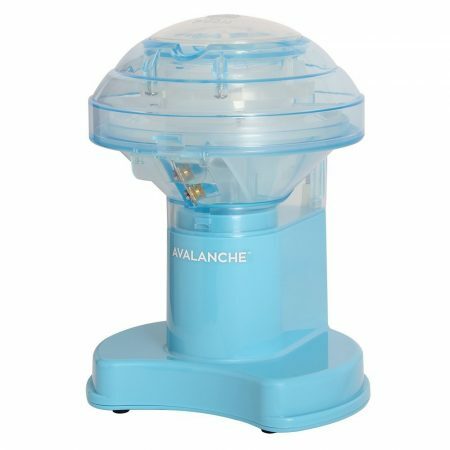 If you’ve never owned a shaved ice machine before, don’t worry. We’ve got you covered. There’s a mini ‘buyer’s guide’ after the quick recommendation below. The guide goes over the important aspects that change from one shaved ice machine to another. By finding out what aspects are the most important to you, you’ll be able to recognise which model is the best for your own personal needs. Defeating the heat with a deliciously cold cocktail. If you’re just looking to find out our overall best model – we think that the Hawaiian S900A is a fantastic all-rounder. For a low price, the shaved ice is great quality – coming out fine and fluffy. While the exterior is just white plastic, it’s got a great minimalistic design that would fit well into any modern kitchen. It also comes with it’s own ice block moulds, which will always provide a better shave than ice cubes. All in all, it ticks all of our boxes without an expensive price tag. It’s fantastic value – check it out at the #1 spot in the list below. 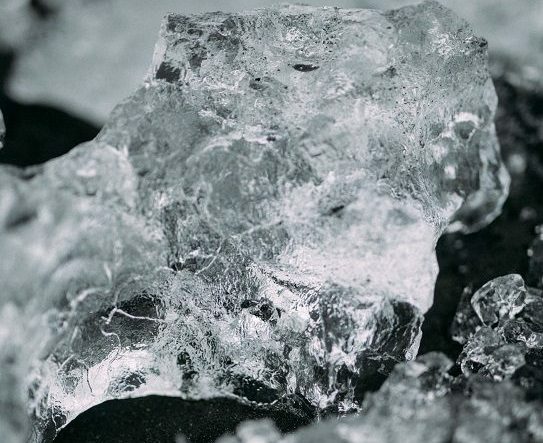 There’s two types of ice that you can put into an ice shaver machine – blocked or cubed. Cubed ice is shaved quicker and easier to quickly refill. Blocked ice gives you the best shaved ice quality: the cuts are much cleaner and more consistent. However, you do need to some ice blocks to use (molds are normally included with good models, though). Freezing your own blocks in advance or being lucky enough to have a nearby store are the best options. A great option is to buy a machine that can do both, and try to freeze ice blocks in advance. You can always refill with ice cubes if your block supply runs out. Who are you making ice for, just yourself? Family and friends too? What about if you’re going to throw a big garden party? Making sure you’ve got a machine that can match the supply to your demand is key to keeping everyone cool and happy. Never underestimate the envy of party guests who are left hot and thirsty! Similar to speed, keep an eye on the size of the machine. For both storage purposes (overall size), and for ease of use (storage bucket size). High production won’t be very useful if the storage bucket is lacking in size! Knowing that you’ve got an appliance that will last you years is a priceless comfort. 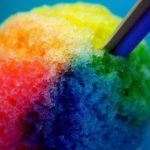 A shaved ice machine is, ideally, one that you should be able to break out summer after summer after summer. Avoiding cheap plastic parts and prioritising reliable brands with quality materials is key. Don’t let yourself get caught up over fancy modern features and gimmicks. Shaved ice is a simple concept, which needs a simple machine. So don’t let jazzed up looks fool you – all you really need is a good shaving blade and a sturdy build quality. * Shaved Ice Tip! * – If using frozen blocks, protect your machine by taking them out of the freezer for at least 5 minutes before shaving them. In our opinion, the best overall ice shaver on the market. Optional party pack pictured. This Hawaiian model is about all you can ask for in a shaved ice machine. Simple to use, a fair price, and good ice production rate. It uses ice blocks, which give you the best possible shave thanks to allowing a more consistent shaving angle. Most importantly, the Hawaiian does what the name suggests – produces high quality, fluffy shaved ice that melts in your mouth, just like from Hawaii. It also works just fine with ice cubes – perfect if you’re still waiting for an ice block to fully cool. We love that Hawaiian offer a ‘party package’ (without much of a price jump). It comes complete with three ice flavourings, plenty of cups, and spoon straws. Ideal if you’re looking to kickstart your shaved ice arsenal. When it comes to shaved ice machines, this Hawaiian model is a fantastic package. Great ice quality, easy to use, ice block molds included, and all for a fair price. With the added bonus of an optional party package for not that much extra in cost. The fact that it can also work just fine with ice cubes is a bonus, too. 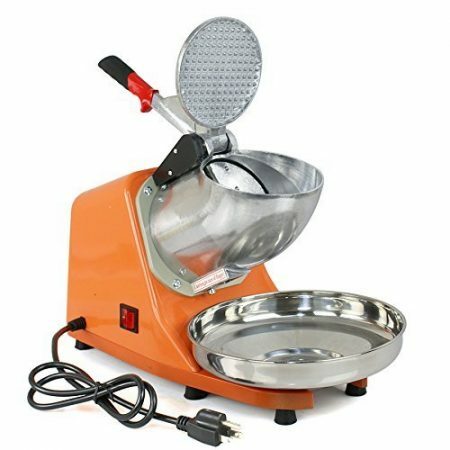 This is a great all-rounder and starter model, which would work well within any family or for anyone who just wants to try out making shaved ice at home. Get near-professional level quality, at home. With a fantastic build quality giving you a near professional-level shaver for home use, Zeny’s Electric Ice Shaver was an easy inclusion into our top list. With a cast iron base and all-metal shaving parts, we expect these models to be one of the longest lasting on the market. This is backed up by Zeny themselves. Any replacement parts can be shipped out to you after a quick e-mail. They’re more than eager to make sure their customers are satisfied. Onto the most important aspect – the ice. As the quality of the metal parts would suggest, the shaved ice is top quality. The powerful fast-spinning blade shaves down ice cubes quickly, giving you a great level of ‘fluffiness’. No shaver with ice cubes will quite match ice shaved down from a block, but this Zeny just about gets there. The only part that falls short for us is the collection bowl. For such a powerful shaver, the bowl is quite small – and a bit of ice spray should be expected. But if that’s the trade-off to make for fast production and great taste, we think that a quick wipe with a paper towel is an easy price to pay. This model is an almost direct answer to our what we said we wanted, when we started out. A no-nonsense, simple to use, great quality appliance that get’s the job done. The robust parts mean you should expect this appliance to be a long term investment of your money, especially with replacement components being known to ship quickly from Zeny themselves. It’s a bit more pricey than the other models on this list, but that is quality worth paying for. One of the market’s best. Low priced and family friendly - without sacrificing on quality. Hamilton Beach’s take on an electric ice shaver is an affordable and family-friendly model. While the exterior is fully plastic, the blade itself can’t be accidentally accessed. That safety factor, combined with the ‘fun’ design, means that this model is perfect if you’ll have any kids who are eager to help out. A great bonus is that it uses ice blocks, which, to quote a certain popular commercial, “gives you the closest ever shave”. With a solid block, the ice comes out much more like long ‘shavings’ rather than thinly cut pieces of ice cube. It gives you a much smoother and ‘fluffier’ end product – making it a real talking point with friends and family while they savour their ice cold drinks. Like the Hawaiian model, two ice molds are included to freeze into ice blocks for shaving. When using these, remember to give them a few minutes to soften before you go ahead and cut them using the ice shaver. It helps to protect the cutting blade. A great family friendly model. Coming in at one of the cheapest prices, but still producing great ice thanks to the ice blocks, this model is ideal if you just want to experiment with home-made shaved ice drinks. Perfect with curious children around, it’s easy to use shaving method and smoothly shaven ice are ideal for recreating your favourite slushies or smoothies. While the exterior is all plastic, that takes nothing away from the model letting you try out all these kinds of drinks at a low price. Top marks for a simple and easy to use product. If you’re looking for a simple ‘ice in and go’ ice shaver, then this model is ideal. 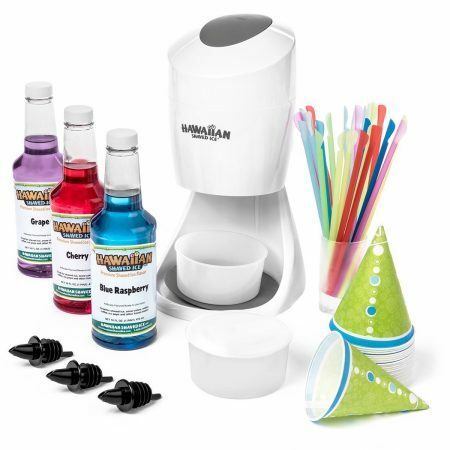 Built to work with ice cubes, a quick opening of the lid and filling the hopper is all it takes to get shaved ice carved by the adjustable stainless steel blade. While the cubed ice doesn’t beat the quality of a traditional ice block, the quality is still high when you consider the really low price tag on this model. The fluffiness is still there, too. The one drawback of this Avalanche model, for us, is the looks. The blue plastic gives out a sort of ‘child’s toy’ feel, rather than an appliance you’d be proud to keep on countertop display. That said, the looks don’t take away from performance and great ease of use. This model also comes with an ‘party pack’ option, similar to the Hawaiian S900A. For paying a bit extra, you get rewarded with everything you need to start producing bowls upon bowls of delicious shaved ice. 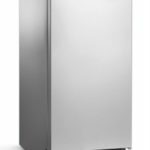 A fantastic model for anyone looking for a simple ice machine that’s built to work with ice cubes. One of the easiest models to use, even for kids (a safety switch stopping the blade from moving without a closed lid means you can leave them to it). 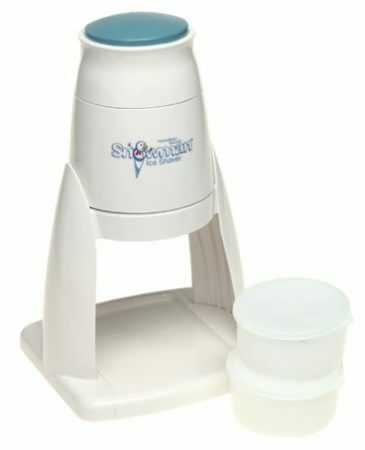 As long as you’re a fan of the color scheme, this ice shaver will be perfect to get simple and fast shaved ice at home. The ice-cube-specialist heavy duty and top quality model. If you’re after top quality, then this is the top of the top. From the stainless steel case, to the stainless steel chute, to the stainless steel cutting parts, the build quality of this model is well ahead of the competition. Another cube-only model, it’s a mini-powerhouse of an electric shaver which quickly churns through any ice cubes that you feed it. As long as you can keep plenty of ice supplied, this model can produce as much ice as you can manage. The chute system is easy to use, with safety features that prevent activation until the ice is covered by the push-panel. All of this high quality does come at a price, which for us is a little more than we’d like. That being said, if you’re after top quality and aren’t worried about the price, then this is as good a model as you can get for home use. Not only does it work fantastically, but it looks entirely professional, too. Highest quality build materials High price! The perfect pick-up if you’re solely after quality, and not fussed about the price tag. The quality of this ice shaver is what sets it apart from the competition. And the great look of the model lets everyone know just how good it is. A bit pricey if you’re just looking for some ice now and again – but a perfect match if you’ve got family or friends who are absolute ice-aholics. Top tier quality, and top tier ice. That about wraps things up for our best ice shavers. While each one of the above models have their differences, it’s important to remember that this is our top 5 list. We recommend every one of them, even if we do nitpick on their flaws here and there. At the end of the day – we’ve hand picked each of these products for good reason. We wouldn’t recommend them to you otherwise. If you were looking up shaved ice machines to create the perfect snow cones, good news! There’s appliances dedicated just to making the best snow cone possible. And we’ve curated them down to the best of the best. 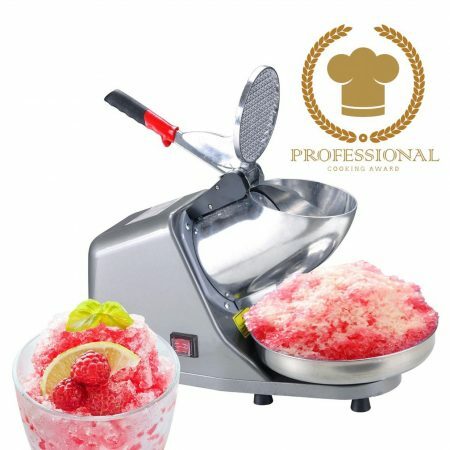 If you’re looking to make great shaved ice, having a supply of fresh and high quality ice cubes is a perfect match. Check out the best portable ice makers here. 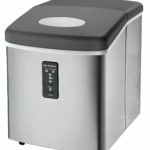 Likewise, if you’re looking for the absolute best ice possible, there’s no better home solution than these standalone ice makers. Plugging directly into your water drain, they produce the absolute top quality ice, just like from a really good restaurant. They’re more expensive, but you just can’t beat the crisp quality of the ice that these appliances produce.